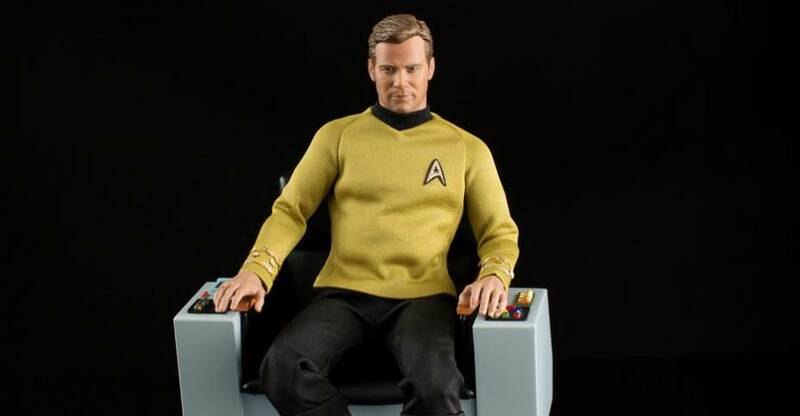 Fans of the Star Trek 1/6 Scale Figure line by Quantum Mechanix will want to check out their newest release. 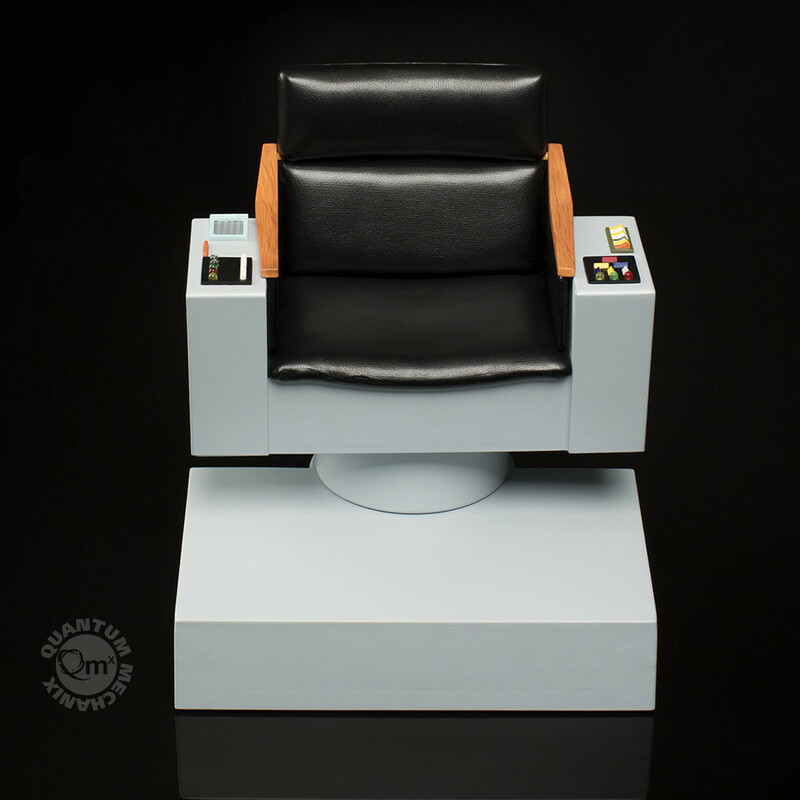 They have posted photos of their great looking new Star Trek: The Original Series – 1/6 Scale Captain’s Chair. 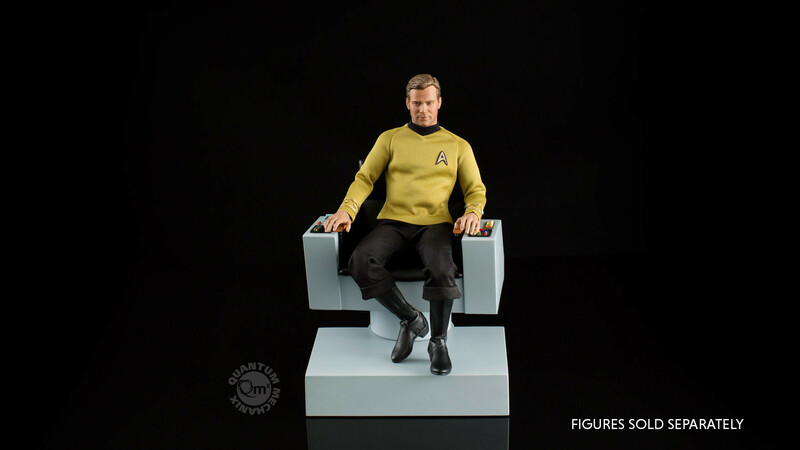 The chair is scaled perfectly to work with the previously release Captain James T. Kirk Figure. Pre-orders are not live at this time. 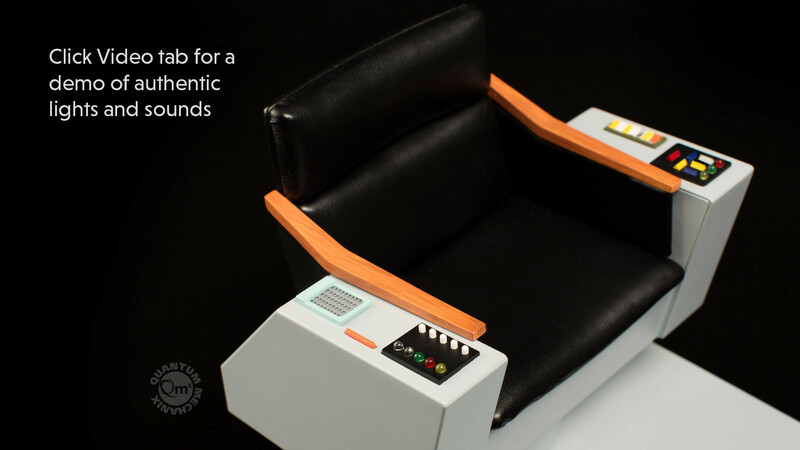 The chair will sell for $129.95. See details below and photos after the jump. 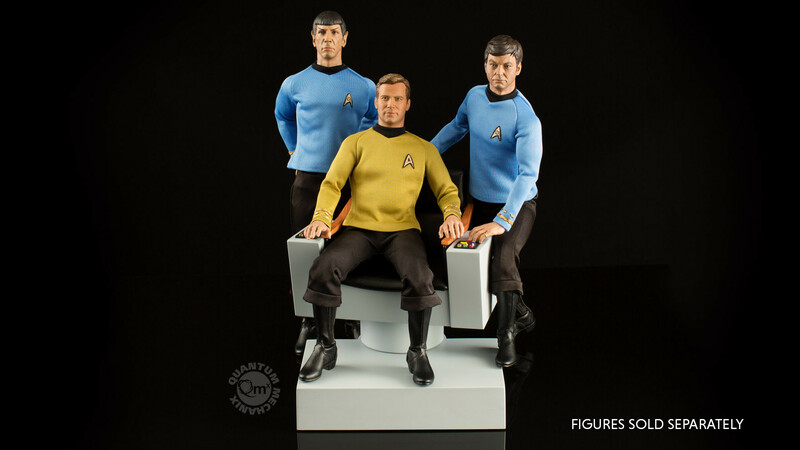 Display this classic TV icon either with the QMx 1:6th scale James T. Kirk collectible figure or on its own. 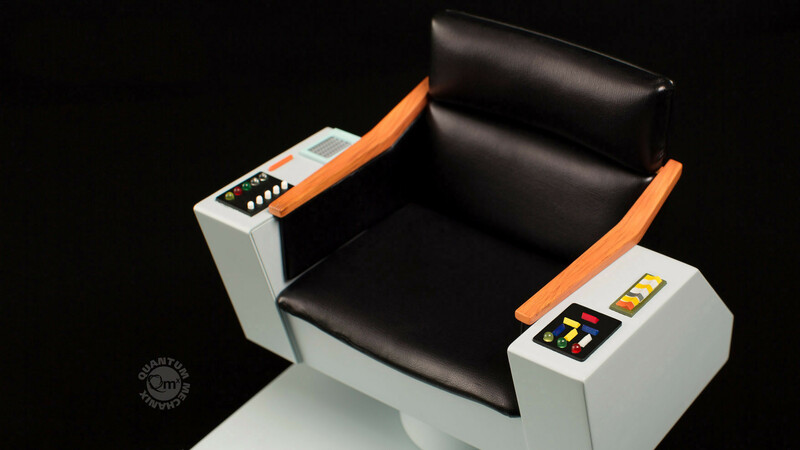 It’s an instantly recognizable collectible that will be the perfect desk display for any discerning Trek fan. Exactly! I'm all for detailed extras for a line but they've released an expensive replica best suited to display a figure they have sold out of completely and are retiring from production. I inquired with the company and QMX wrote me back the bad news. 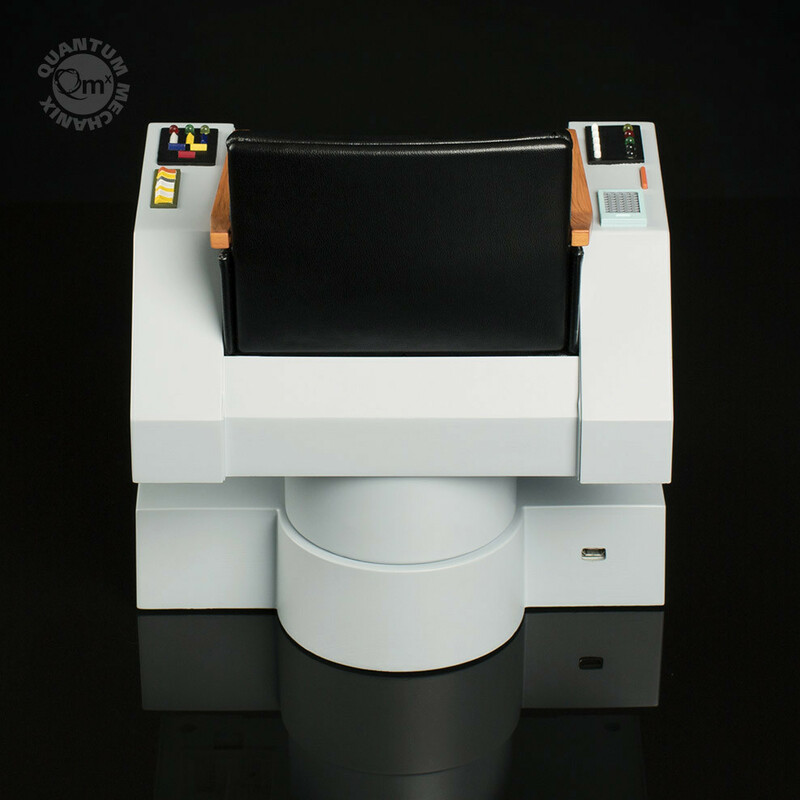 So if you can't go all in on this line as of now, December 2017, why the hell would you drop $130 on a Captain's chair? With no Captain to display it with? Idiots. But ... I guess Tony Stark could have this in his pop culture corner of his Armor Cave ... no shortage of Hot Toys Marvel!